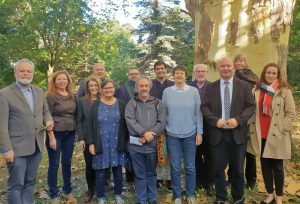 Participants of the European National Councils of Churches meeting in Vienna, 2018. National Councils of Churches are the ecumenical instruments through which churches engage nationally. The Conference of European Churches facilitates an annual gathering of European National Councils of Churches.